Welcome all Chefs in the Making! Welcome to my RECIPE BOX blog! This is a little blog I created from the inspiration I got after watching the delightful motion picture Julie & Julia. I wanted to create a place where anyone and everyone can exchange great recipes, entertaining ideas, and all their cooking successes and failures. New topics will be posted daily and I hope others will post their comments or ideas on these topics! Each month there will be a different cooking/ingredient that is featured. I hope readers will enter their recipes and blog about their ideas regarding the different topics/monthly themes featured. Make sure you attach your name and city were you reside at the bottom of your recipe and photos if possible! "Never eat more than you can lift." — Miss Piggy. I was always starving when I got home from school! 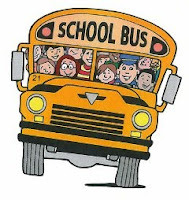 Enter your favorite after school snack! Plus potatoes are high in vitamin C and potassium. In fact, just 1 medium potato has 45% of the vitamin C and 21% of the potassium our bodies need every day for good health. WOW - potatoes are nutritious! Give us your favorite potato recipe!!!! Is it okay to substitute dried herbs for fresh? If you can I would recommend using fresh herbs as much as possible in your cooking. Not only because of the fresh taste and intense flavor they will bring to your dish but also the vibrant color as well. However, you can substitute dried for fresh. Because dried herbs lack the moisture of fresh, their flavor is much more concentrated. The generale rule is to use one third the amount of dried herbs as you would for fresh! Ex: if a recipe calls for 1 Tbsp of fresh basil use 1 tsp of dried basil. Also, if you are using fresh herbs add them at the end of your recipe so the heat doesn't destroy the bright color of the herbs. 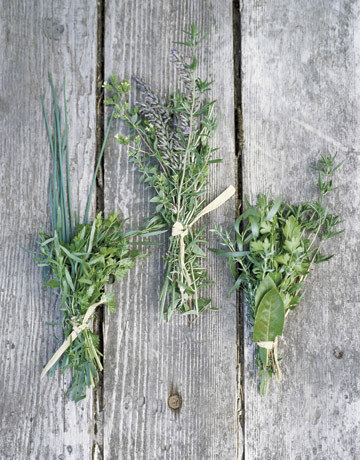 If you are using dried herbs add them at the beginning of the dish so the flavor has more time to infuse the dish. Enter your favorite pasta recipe and why you LOVE IT! Clear away the cloudy day with some bright yellow lemons! The sweet citrus arroma with brighten up your day and kitchen! 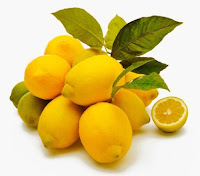 Please feel free to add your favorite recipe using lemons!!!! Today's Menu August 19, 2009: Go Nuts! 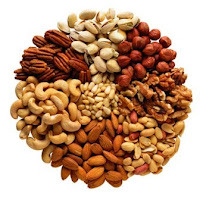 What is your favorite nut & recipe that uses that nut as an ingredient? It's summer still and hot so I thought that we could start off this Recipe Topic with all recipes with Berries!! Post you recipes below.